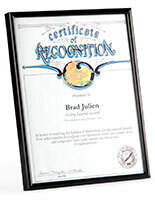 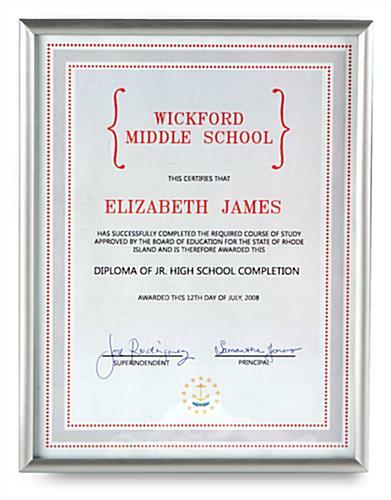 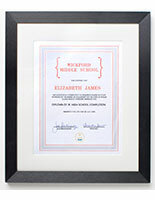 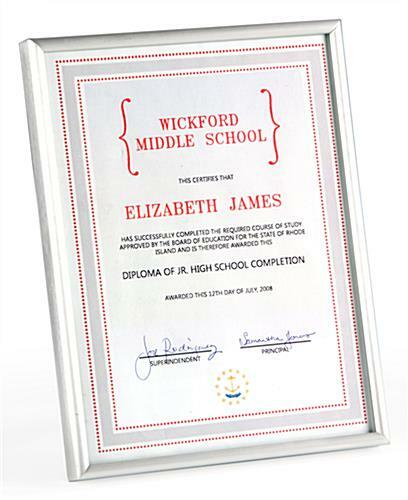 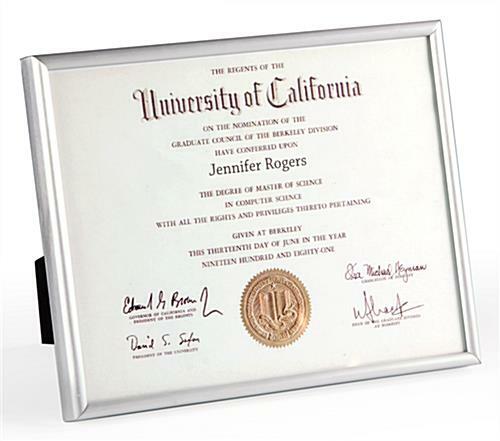 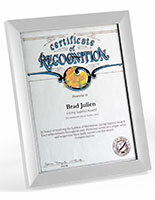 This award frame showcases your accomplishments inside a handsome silver finish display. 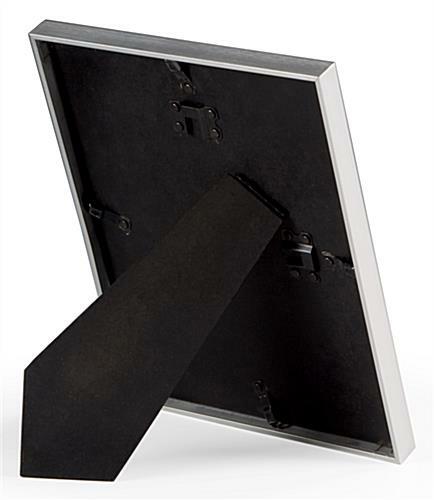 Insert any 8-1/2" x 11" graphic into the rear and simply turn the retainer clips closed. 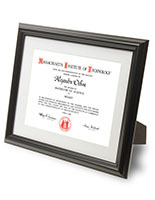 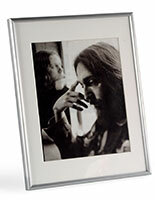 The black backing comes with an easel stand for propping up the award frame on a desk or tabletop. 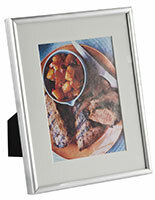 Or if you prefer, hang the frame on the wall. 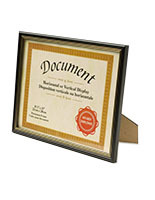 The backing was kind of a cheap material and created a lot of dust and looked like it could fall apart, but overall the frames looked good and will be purchased again in the future.